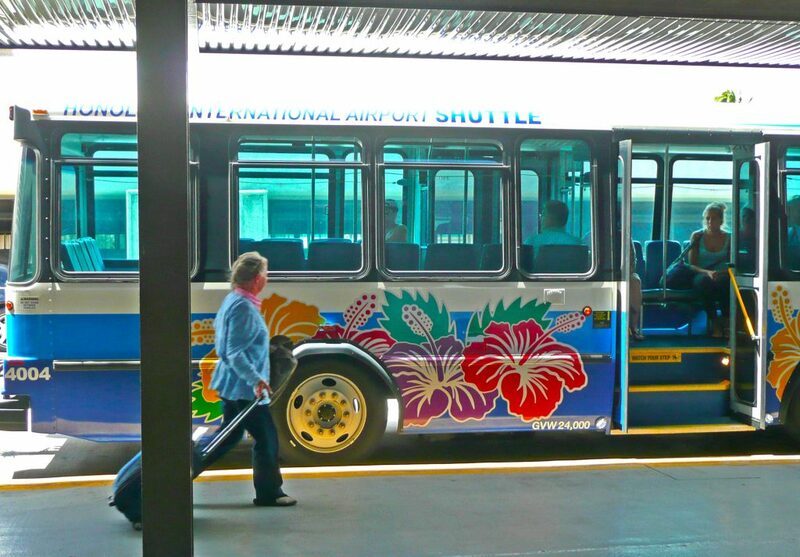 Daniel K. Inouye International Airport provides free transportation for passengers to travel between Gates and Terminals. After clearing security, departing overseas passengers may catch a bus on the third level of Terminal 2 for a ride to their Gate in either the C Gates or the G Gates. Elevators and escalators provide access to the third level. Arriving overseas passengers in the C Gates and G Gates may catch a bus outside of their Gates back to Terminal 2 or to Terminal 1. You will be dropped off near escalators and elevators to the Baggage Claim area. Passengers checking in at Terminal 1 for a Mainland flight in Terminal 2 may catch a bus on the third level for a ride to their Gate. Buses also operate between the Terminal 1, 2, and 3. Signs are posted at curbside on the ground level showing the bus stops. Buses operate between the hours of 6 a.m. and 10 p.m. daily. A shuttle that can accommodate wheel chairs is also available to transport passengers between concourses. 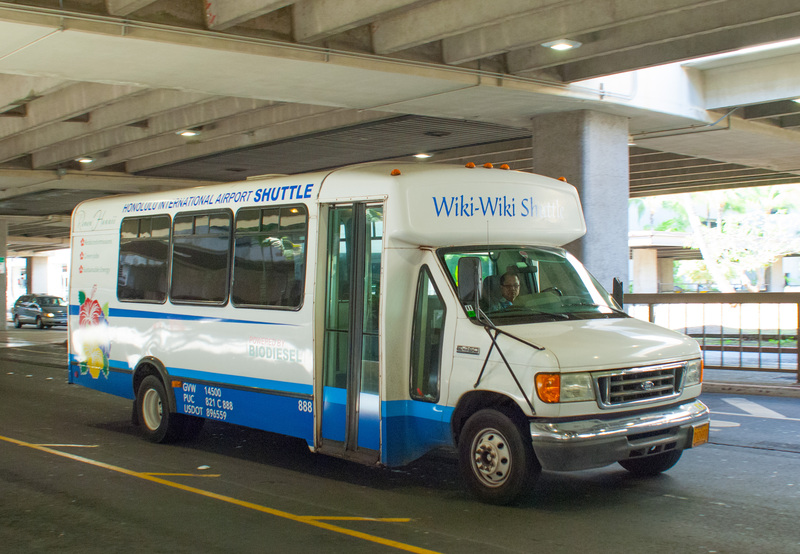 The shuttle operates regularly from 6 a.m. to 10 p.m. on the upper level roadway between the Diamond Head and Ewa Concourses. Departing passengers should take the escalator or elevator to the third level shuttle station. Arriving passengers will be met on the roadway outside of their gates after deplaning. 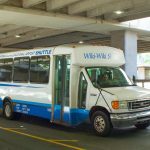 The shuttle also operates on the ground level of the public roadway fronting the terminals to shuttle passengers between Terminals 1, 2, and 3. Shuttle stops are located along the roadway center median fronting terminals. Check signs for locations.